Tyler Perry is a man of many faces whose talent has graced the stage and screen. Coming from humble beginnings and becoming a force to be reckoned with as an artist, he sets an example for so many who strive to follow in his path. In this exclusive interview with Conversations Magazine, he talks about his journey, his lessons and what he has to say to the world about following your dreams. CAN YOU TELL US ABOUT WHAT LIFE WAS LIKE FROM YOU IN THE BEGINNING. Lady luck wasn't to me in the beginning. As a poor kid growing up in New Orleans, my childhood was quite depressing due to poverty and physical abuse. I was the middle of four children. I was unhappy and miserable during the first 28 years of my life. The things that I went through as a kid were horrendous. And I carried that into my adult life. I didn't have a catharsis for my childhood pain, most of us don't, and until I learned how to forgive those people and let it go, I was unhappy. WHAT WAS YOUR THERAPY, IF ANYTHING DURING THIS TIME? It was writing in my journal. This actually began my career as a playwright. I tell people I was watching the Oprah show one day and she said that it's cathartic to write things down, so I started writing down the stuff that was happening to me. I started using different characters' names, because if someone had found my journal, I didn't want them to know I had been through that kind of stuff. That's how my first play [I Know I've Been Changed] started, which features a character who confronts an abuser, forgives him and moves on. DID YOU FIND IT WAS EASY TO BE FORGIVING? It's nothing like real forgiveness, a deep-down forgiveness where you don't hold any grudges against people. I forgave [everybody] for the things they didn't know and for the things they didn't know to do." HOW DID YOU GO FROM PLAYRIGHT TO ACTUAL PRODUCING YOUR OWN PRODUCTION? In 1992 I saved $12,000, rented out a theater, wrote, directed, promoted and starred in my own production of I Know I've Been Change--and it failed miserably. I think during its entire weekend run, only 30 people showed up. When the show was over I was broke, broken and homeless. For about six years after that, I held a string of odd jobs in order to finance the show, and lived on the streets when I couldn't afford to pay the rent. There wasn't a lot of support during this time. (Almost everyone, even his own mother, begged him to quit the theater and find a steady job.) But I refused to give up. AND YOUR NEXT PRODUCTION? In the summer of 1998 I financed the production once again. And this time, I said it would be the last time, if the production failed. That production was I Know I've Been Changed, and it opened at the House of Blues in Atlanta and sold out eight times over. Two weeks later, it moved to Fox Theater and sold out 9,000 more seats. After the show, every person who had told me no, every promoter who had turned me down, came to me with an offer. WHAT IS YOUR GOAL WHEN YOU ARE PUTTING TOGETHER A PRODUCTION? With my shows, I try to build a bridge that marries what's deemed legitimate theater and so-called 'chitlin' circuit theater,' and I think I've done pretty well with that, in bringing people in to enjoy a more elevated level of theater. At one point, the criticism made me feel ashamed of my productions. Then I got some advice from playwright August Wilson. He said, "Do what you do. Don't worry about these people, do what you do because I don't think it's bad at all." HAS IT BEEN HARD TO COMBINE YOUR PERSONAL AND PROFESSIONAL GOALS? I plan on writing a new chapter in my journal of life. You know, Tyler Perry, the family man. That's my next major goal, to find a wife who's balanced and have four or five kids. I've already been furnishing the nursery. As I've said before, I've put my private life on hold for too long because I wanted success. I wanted something to offer to my woman and my children. Now that I'm at that point where I feel like I have a little bit to offer, I'm ready to be a good husband and a good father, I know I can do it. WHAT ADVICE DO YOU HAVE FOR OTHERS WHO ARE ASPIRING TO FOLLOW YOUR LEAD OR BLAZE THEIR OWN TRAIL? FIND OUT MORE INFORMATION ABOUT PERRY AT WWW.TYLERPERRY.COM. 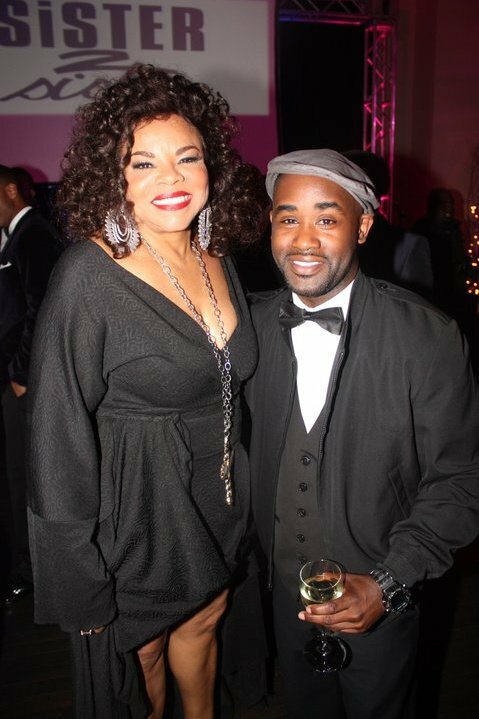 Realizing that friendship is something that endures the good and bad times, actor/author/recording artist Tray Chaney is speaking out on behalf of his friend and fellow "Wire" co-star Felicia "Snoop" Pearson. Pearson has been in the news recently after being arrested for allegedly providing substantial amounts of money to a large-scale heroin organization. Actor, author, and recording artist Felicia Pearson; best known for her break-out role on HBO's celebrated docu-series The Wire, was taken into custody along with 63 others in Baltimore City, Maryland on Thursday March 10, 2011. A Joint Task Force of city, state and federal agencies arrested all including Ms. Pearson with "Conspiracy To Distribute Heroin" and "Conspiracy - Possession With Intent To Distribute Heroin". As the news spread of Ms. Pearson's arrest, there has been an outpouring of well wishes from her industry colleagues and friends who know her best. 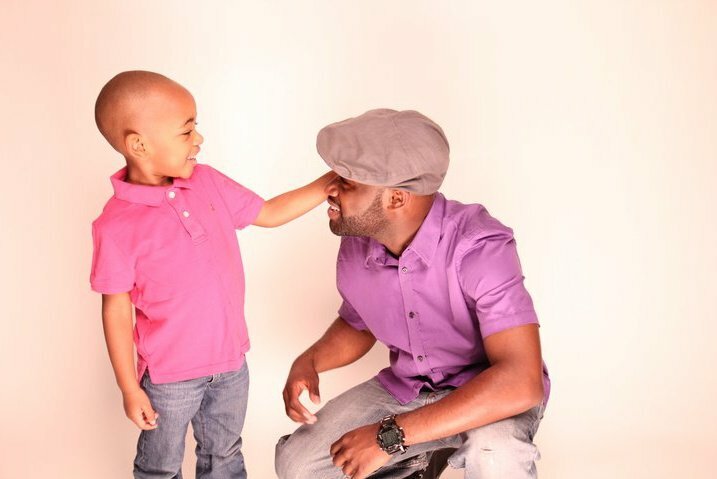 Actor, author, former-cast member of The Wire, and good friend Tray Chaney spoke out this week saying the following: "It's always sad to see someone you love and respect going through a trial in life, but it's even more hurtful when the character you might play as an actor is seen as being your reality. Snoop has my support as she goes through this difficult chapter in her life, but I know she is strong and will continue to do what she does best: survive. Since the show, we have had the pleasure of working together on other projects, and she has been nothing but dedicated to her craft and her community. I look forward to working with her again." For more information about this case, contact Ms. Pearson's lawyer Paul Gardner of the Gardner Law Group at 443.625.9313. 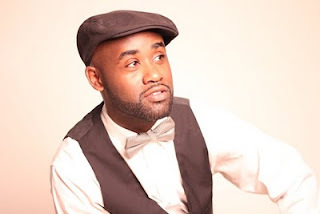 To find out more about Tray Chaney and his upcoming projects, contact Cyrus Webb at cawebb4@juno.com or 601.896.5616. You can also follow him at http://traychaneyblog.tumblr.com. Introducing the March/April 2011 Issue of Conversations Magazine! Shadow Play Entertainment is excited to give you, the reader, a sneak peek of the March/April 2011 issue of Conversations Magazine! As many are celebrating Women's History Month (March) and National Poetry Month (April), Editor-In-Chief Cyrus Webb has gathered a great roster for the special issue that everyone is sure to enjoy. Inside you will find Webb's interview with author Kris King. She talks about how she has used her experiences in life to help other people through what could have been their darkest hour. Webb also talks with authors Dianne Dixon and Derek Lantin about their literary journeys and what they hope you take away from their contributions to literature. On the music side of the issue Conversations Magazine profiles recording artists Sterling8. It also includes the articles "Celebrating Maya Angelou" and "Oprah's Place All Her OWN". You can also find recipes from Conversations' resident Chef Bruce Tretter and so much more! Once again Conversations Magazine is "feeding your love of life" through articles and features designed to make each day the best day. Order your copy of the March/April 2011 issue of Conversations Magazine now by clicking here. 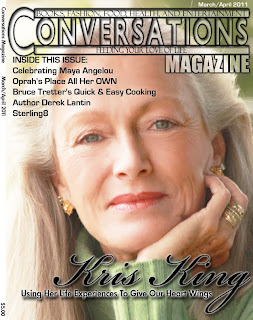 To get a 12 issue subscription of Conversations Magazine for only $24.99, visit www.conversationsmag.com. Those interested in advertising in this issue will find details at www.conversationsmag.com and can contact Cyrus Webb at cawebb4@juno.com or 601.896.5616. NATIONAL- The National Black Writers Conference Biannual Symposium will be held on Saturday, March 26, 2011, 10 A.M. – 5 P.M. at Medgar Evers College, CUNY, in New York City. This year's theme is "Honoring the Work and Life of August Wilson." Pulitzer Prize-winning playwright August Wilson was a major contributor to the canon of American literature. From Jitney, Ma Rainey's Black Bottom and Fences to Joe Turner's Come and Gone and Radio Golf, Wilson's legacy consists of a cycle of 10 powerful plays that depict the African-American experience in the twentieth century, each set in a different decade. His work explores themes such as racism, cultural identity, family relationships, and spirituality. The symposium is dedicated to exploring his work, in particular the impact of the cultural and historical themes of his work on the Black American experience and in literature. The New York Times stated that Wilson's plays "will stand as a landmark in the history of Black culture, of American literature and of Broadway theater." The day-long symposium will feature dramatic readings by acclaimed actors Jeffrey Wright, star of A Free Man of Color and Top Dog/Under Dog, and Tanya Wright, author and a cast member of HBO's True Blood. Participating speakers and panelists include Woodie King Jr., founder of the New Federal Theatre; playwrights Thomas Bradshaw and Ed Bullins; Professor Dale Byam, director of the film August in April; scholars Kimberly C. Ellis, Donald Gagnon, Paul Carter Harrison, and Esmeralda Simmons. "August Wilson's rich plays gave life and voice to the struggles of Black people in this country; our celebration of his work and life meets the Center's mission to expand the literary canon and the general public's knowledge of the literature produced by black writers" stated Dr. Brenda Greene, Executive Director of the Center for Black Literature. The cost for this event is a $10 general donation; $5, senior citizens, students and faculty (with ID). This event is opened to the public. Visit the Web site for more information, www.centerforblackliterature.org. The National Black Writers Conference (NBWC), inspired by the late John Oliver Killens in 1986, brings together writers, critics, booksellers, book reviewers, educators, students, and the general public in order to establish a dialogue on emerging themes, trends, and issues in black literature. The NBWC is produced by The Center for Black Literature at Medgar Evers College, CUNY. Co -Sponsored by New York Council for the Humanities, Up South, Inc., and the Medgar Evers College, CUNY, Department of English. The New York Council for the Humanities helps all New Yorkers lead vibrant intellectual lives by strengthening traditions of cultural literacy, critical inquiry, and civic engagement. Up South, Inc. is the producer of the annual Up South International Book Festival, held in New York City in the fall. Visit www.upsouth.org or write bluemedia@aol.com for more information. The Department of English offers students an opportunity to concentrate in three broad areas of English Studies: cross-cultural literature, creative writing, or professional writing. Students study literature from their own culture as well as from other cultures of an increasingly globalized world. (March 23, 2011) For Bigg Marv, co-star of the hit reality show HAMMERTIME on A&E, celebrity is about more than just personal recognition. That is why he believes strongly in giving back to the community and trying to make a difference. On Wednesday, March 23, 2011 he will be one of the speakers at the ribbon cutting ceremony of the "Taco Bell Graduate To Go" recording studio event that is hosted by the Taco Bell Foundation and the Boys and Girls Club of Oakland, California. His message? Always go for your dreams. "This is an opportunity for me to share my own experiences with the Boys and Girls Club," says Bigg Marv. "They are an organization committed to giving young people an opportunity to be their best everyday. That is exactly what I learned from it, and I hope something I say will let the young people know how fortunate they are to have it in their lives." To accomplish its purpose, Boys & Girls Clubs of Oakland (BGCO) provides programs and services tailored to the special needs of today’s youth and supplementary to the endeavors of families, the Oakland schools, and other community – based organizations. The event begins at 3:00p.m. pacific time. The location is 3300 High Street, Oakland, CA. 94619. For more information about the work of the Boys and Girls Clubs of Oakland, contact Dawn Duplessis, VP of Advancement, at 1-510-444-8211 ext. 16. To contact Bigg Marv, email Cyrus Webb at cawebb4@juno.com or call 601.896.5616. You can also follow him on twitter at www.twitter.com/biggmarv or visit www.shadowplayent.com. (March 25-26, 2011) Conversations Book Club and its partners welcome children's book author M. Beatryce Shaw to Mississippi. 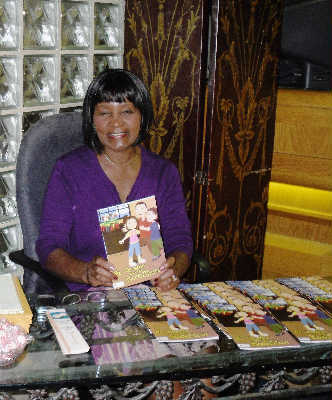 She will be signing her books MR. BROWNE'S ROSES and MR. BROWNE AND THE ROSE SHOW which deal with early childhood color awareness and dealing with individuals with disabilities. This is her first time promoting her books in the Magnolia State. 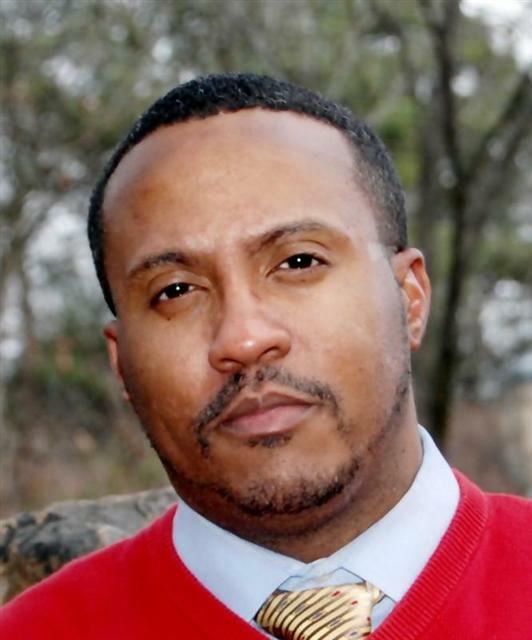 "We are excited about Beatryce being with us," says Cyrus Webb, President of Conversations Book Club. "Her books give our children and us adults messages that we have to deal with on a daily basis." For more information about Shaw and her books, visit www.schoonerpublications.com. To find out more information about the schedule and Conversations Book Club, contact Cyrus Webb at cawebb4@juno.com or 601.896.5616. You can also visit www.thebestbookclub.info. From the award-winning author of The Cheetah Girls series, Deborah Gregory, comes a new series that follows a dynamic and diverse group of four teen girls at Manhattan's Fashion International High School. CATWALK (Delacorte Press Books for Young Readers / Retail $8.99 / Ages 10 up) combines Gregory's upbeat urban voice with the appeal of Project Runway and America's Next Top Model, for a fresh, fierce and fashion-forward read. The second book in the CATWALK series, Strike a Pose, was published Fall 2009. Catwalk: Rip The Runway is the last installment in the trilogy and debuts September 13th, 2011 in a special Catwalk Omni edition with all Catwalk three novels. Pashmina, Angora, Aphro, and Felinez's best friends and budding fashionistas are about to enter the contest of their lives: the Catwalk competition. Each year, students split up into fashion teams--also known as houses--and compete to design, produce, and show fully original fashion lines. The winning house will garner several modeling and college scholarships for its team members, and the chance of a lifetime--to stage their fashion show abroad during. Five fashion houses assemble their teams and prepare for the competition. The House of Pashmina is ready to prove its catitude and pure fabbieness will it have what it takes to win? 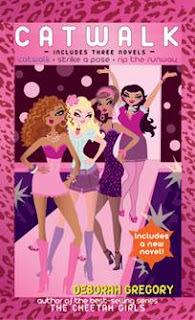 Bouncy, smart, and sassy, CATWALK introduces young readers to a fashion world where with spot-on slang and clean, bubbly story. CATWALK: Strike A Pose is the second book in the series--and is sure to score major purr points with its glossary of terms such as shopportunity, feline fatale, purrlicious and many, many more! Deborah Gregory is the author of the wildly successful tween pop culture phenomenon, The Cheetah Girls, winner of the Blackboard Children's Book of the Year Award. The sixteen-book series was adapted into three Disney Channel original movies: The Cheetah Girls which debuted in 2003. Cheetah Girls 2, the sequel, premiered in August 2006 at number one in its time slot for all network and cable stations, becoming the channel's highest-rated movie in history.. Cheetah Girls One World--filmed on location in India-- premiered August 2008. Gregory served as co-producer for all three films. 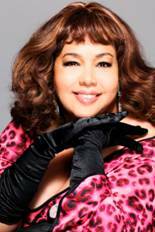 Prior to creating THE CHEETAH GIRLS, Gregory was a contributing writer for Essence magazine. Her work has also appeared in VIBE, Heart and Soul, Entertainment Weekly, Us Weekly, and Redbook, where she began her writing career. Gregory was born in Brooklyn, homeless at the age of three, then raised in the foster care system under ACS in New York City. She earned an associate's degree in applied science from the Fashion Institute of Technology and received her bachelor's degree in English literature and writing at Empire State College. She lives in New York City with her beloved pooch, Cappuccino. For more information about Deborah and her books, visit www.cheetahrama.com . He acts (HBO's The Wire), writes (autobiography THE TRUTH YOU CAN'T BETRAY),raps (mixtape JACK OF ALL TRAYS and album coming soon) and along the way inspires, but as Sister 2 Sister Magazine says in their April 2011 issue, Tray Chaney is "working to become an Entertainment Renaissance man"---and that is just the beginning. "I'm at a really good place in my life," says Chaney as he reflects on the feature in the national magazine in stores worldwide now. "I have everything I could ever want going for me right now, and the success in my career is truly icing on the cake." The actor/author/recording artist is sharing page 73 of the magazine with the love of his life: his son. "All of this is really for him," says Chaney. "I am glad that he can be a part of what is going on right now. He sees what I am doing, and I let him know that all of this is because of my love for him." Chaney is sharing that love with others as well by giving back whenever he can. He remains the national spokesperson for The Write Stuff literacy campaign and its Take Time To Read initiative, and he is often seen visiting schools and sharing the message of pursuing your dreams. "It's important that I use celebrity to achieve something good," says Chaney. "That's the only way that it really has meaning. You can't keep it all to yourself, and you have to let the young people out there know that good things can come their way if they work hard and believe in themselves." In the Sister 2 Sister feature he also talks about his big screen role in the movie Streetz due out in April 2011. What's next? "The skies is the limit," says Chaney. "I'm not stopping. In fact, I'm just really getting started." While much of the world has recently focused its attention on the chaos in Libya, for individuals like San Diego resident Samara Alexander, there are still unanswered questions and uncertainty about the future of Egypt. Alexander's parents still call Egypt home, and though many in the United States have moved away from the story, she is doing her best to make sure that no one forgets the struggles ahead. Even though Presdient Mubarak has resigned from power and the country is beginning to move forward, Samara still has concerns about the next chapter. She discusses those with Conversations Magazine in this interview. What were your thoughts when you first learned about what was going on in Egypt? When I first heard about the unrest in Egypt, I froze as much as I did as I heard about 9/11. Do you think your having family there has caused you to pay closer attention to the action over the past several days? Of course, the fact that my parents were there made the news more personal. In the U.S. there has been mixed reaction as to how we should see the crisis in Egypt. Why should we all care about what is going on there? I think of the war against terrorism and Islamists as a chess game, Egypt is the castles. If the castles fall the game becomes more dangerous. You recently shared a different view of why the President should not have resigned. Can you tell us here? The problem is that there is no viable alternative. For the longest time elections in Egypt had no real electoral ballots. There were two boxes Yes to Mubarak or No to Mubarak. The opposition needs to become stronger and a leader has to reveal himself. What is your message to the people of Egypt during this time? My message would be to think logically instead of reacting emotionally. The difference between thirty years and thirty years and nine months is safety for the people of Egypt. If this crisis is caused by poverty and the main source of income in Egypt is tourism. Then Egyptians only hurt themselves by staying in the streets. Find out more information about Samara and her other political commentary at http://moderatemuslimspeaksup.blogspot.com/. To hear her discuss the crisis in Egypt on Conversations LIVE Radio, listen at www.esnips.com/web/authorsamaraspeaks. 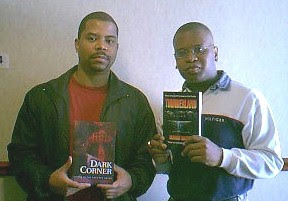 Bestselling author Brandon Massey first appeared with radio/tv personality Cyrus Webb on Conversations LIVE (then Conversations with C. A. Webb) on March 11, 2004, discussing his new book at the time Dark Corner. After a seven year absence from the show, Shadow Play Entertainment is pleased to announce that Massey will rejoin Webb on Conversations Friday, March 11, 2011! "This is truly a historic event for the Conversations Brand," says Webb,35. He began hosting then Conversations with C. A. Webb on the radio dial out of Mississippi in July 2003, but the interview with Massey was different. He explains: "Brandon was the first person to appear on Conversations the radio show (March 2004), the television show (March 2004) as well as Conversations the magazine (debut issue April 2006). Alot has happened to the both of us since that last conversation, and I am looking forward to filling our listeners in." As a special treat for radio listeners Webb is taking the discussion a step further. He will begin the show by replaying the March 2004 interview from WMPR 90.1 FM in Jackson, MS before bringing Massey into the show. Webb will also be taking callers for Massey, so his fans are encouraged to join in on this event. All of this will take place on Friday, March 11, 2011 beginning at 4:30p.m. est (3:30pm. cst/1:30p.m.pt). To listen to the show live, visit www.blogtalkradio.com/conversationslive or call into the studio at 347.426.3645. For more information, contact Cyrus Webb at cawebb4@Juno.com or 601.896.5616. 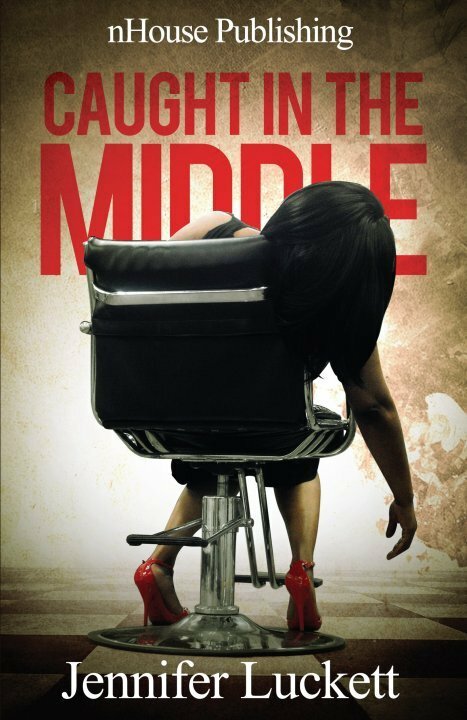 Join Jennifer Luckett, author of Caught in the Middle*, as she visits Pearl, MS with Conversations Book Club on Saturday, March 12th. The first event will be at the Pearl Public Library (2416 Old Brandon Road, Pearl, MS) from 1p.m.-3p.m. in the lobby. Then at 6p.m., Appetizers Restaurant (3000 HWY 80E, Pearl, MS) for a book discussion with book club members and others. Books will be available for purchasing, however, admission is free. Discover more about Luckett and the book CAUGHT IN THE MIDDLE at www.nhousepublishing.com. For more information about the events, contact Cyrus Webb at cawebb4@juno.com or 601.896.5616. * Luckett's book CAUGHT IN THE MIDDLE has been selected as one of the selections for the Best of Mississippi Book Club as well. For details visit http://www.best-of-ms.com. There is an insatiable heartfelt desire to reach out to our youth in order to eliminate the seedlings that breed negativity and to replace them with cultivated seeds for positive changes. For years, the city of Marianna has been overshadowed with negative stories, negative media coverage, and negative images which caused many people to over look all the great things for which the town is responsible. 20 years later individuals still harp on the story of the Chamber brothers and talk about how they put Marianna on the map. The sad misfortune is even though these men have repaid their debt to society, many people still chose to view Marianna through the eyes of a story that occured in the late 80's. Unfortunately, the recent stories of Curtis Vance and Maurice Clemmons only added fuel to the fire, and once again cast a dark shadow over Marianna. All of the aforementioned stories received national attention which provided an image to the world that only thugs, murderers, drug dealers, and criminals were being produced in our hometown. It was with these images that ignited the "Our Story" Youth Leadership Conference. We felt something needed to be done to show people across the state and the nation, that despite the negative image that Marianna has received in the past, a new era of those that are concerned about the community have now arisen. On March 12th of 2010, the Alumni of Lee County School District held our 1st Annual "Our Story" Youth Leadership Conference. The mission of "Our Story" is for past graduates to come back and dedicate an entire day to the students, educators, and parents in the community. On this day we motivated, inspired, and encouraged over 1,000 students, 75 educators, and many parents by sharing our individual stories of struggle, endurance, and success. We had graduates from the class of 1990-2001 to come back and share in this awesome event. Since that time, we have had thank you letters, emails, telephone calls, and face-to-face conversations with many of the students, parents, and educators who shared that the conference was a great help. On March 11, 2011 the Alumni of Lee County School District will return for the 2nd Annual "Our Story" Youth Leadership Conference. This year classes from 1967-2010 are currently onboard with hopes that more will join in the next few weeks. Our hope is that we will continue to inspire and encourage the youth of our local communities to become rejuvenated and empowered to lead productive and progressive lives. I believe now is the time to change the image of Marianna to prove that even though terrible things happen in small communities, good seeds are constantly being produced in the place many of us will forever call home. It is my desire that others will join the "Our Story" movement so we may begin to clear the image of the past in order to move forward in the future. If you would like to donate to the conference you can mail your payment to P.O. Box 30392, Little Rock, AR 72260. Make sure all checks/ money orders are made payable to "Our Story". If you need more info please call 901-786-2322 or email us at ourstory2011@yahoo.com. Conversations Book Club, in connection with Appetizers Restauratn in Pearl, MS, is pleased to announce the formation of the Best of Mississippi Book Club. "This is our way of celebrating the state's literary stars as well as those that are on the rise," says book club founder and President Cyrus Webb of Brandon, MS. "I think the selections are varied enough that Mississippians of all ages and interests will find something they can enjoy and share." Webb also hopes that this will be yet another way that reading can be encouraged throughout the state since it is still has one of the highest illiteracy rates in the country. The book club will meet every fourth Thursday at Appetizers Restaurant (3000 Hwy 80 E) at 6p.m. each month for a 90 min. discussion about that month's selection. The first meeting is set for Thursday, March 24, 2011 with the book A TIME TO KILL by John Grisham. Webb will lead the conversation, and the book club is free and open to anyone who would like to attend and/or participate. To find a complete listing of 2011's selections or additional information about the Best of Mississippi campaign, visit www.best-of-ms.com. You can contact Cyrus Webb at cawebb4@juno.com or 601.896.5616. Information about his other projects can be found at www.cyruswebb.com.